So what can you expect out of this website? A deep insight and practically every possible information about Langkawi and its tourism that are based on years of our family vacationing experience in the island. So if you are a tourist planning to visit the island, you can plan and design a perfect vacation using this website. You don't need to look any further. Langkawi is a jewel and a natural paradise in the whole of South East Asia. It's a cluster of 99 Malaysian islands and located off the western coast of peninsular Malaysia. Another 5 islands are submerged. However it's the main island (pulau Langkawi) where most tourists visit & stay. The emerald blue water and the lovely sunny beaches are dreams for the beach lovers and those who love watersport activities. Langkawi has received World Geopark status from UNESCO due to its magnificent geological landscapes & formations that are full of amazing limestone rocks, sea arches, caves, and fossils some of which are over 480 million years old. There are countless tourist attractions in the island including public beaches, waterfalls, mountains, parks & reserves, marine life, historical & heritage buildings, monuments, shrines, art & craft ... the list is endless. And all this amidst charming and friendly people of the island. The island which is now a leading tourist destination in the world, offers plenty of top class hotels both for budget and luxury travelers, and numerous restaurants offering a range of food that suits every culinary taste. This website is designed to guide you with all the above including top tours & attractions, recreational activities, shopping & nightlife, great hotels & restaurants, events & festivals, people & culture, island & travel information, and lot more. And all these along with pictures, maps and even videos! If you are planning to visit Langkawi for the first time, it's a good idea to start by knowing about it a little, its location, popular areas in the island, Tourist Information Centers, about some of the many tiny islands that make Langkawi, people & culture, a brief history, flora & fauna and so on. This will give you a nice flair of the island and what you may expect there. Some of the best treasures of Langkawi are its beautiful sandy beaches. This is probably the single most important reason why tourists are attracted to this island. Know about the best and the most beautiful beaches in the island. This section opens up lot more treasures for you. You will get to know about the great sightseeing places and other tourist attractions. Since your time is likely to be short, I have recommended the top attractions of the island that you must try to visit. I have also arranged complete list of attractions of the island by its type along with full descriptions and pictures. While you can reach out to some attractions in the island with a local transport, you will need to take guided tours for the others. More over, some sights are located offshore and some in other islands. It is advisable to enjoy such sights through organized and guided tours to get the best experience. There are several well known tour operators in the island specializing in areas like boat tours, taxi/van tours, nature tours, hikes & treks, adventure tours, sailing cruises, and various others. 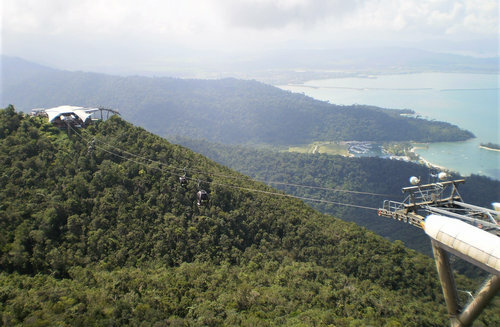 Langkawi is not just about beaches and sightseeing. There are plenty of fun and recreational activities that you can be immersed in for days. This section will let you explore such activities like snorkeling, watersports, spa, scuba diving, boating & sailing, golf and lot more. This section will give you a comprehensive idea about a range of accommodations in Langkawi that includes budget, mid range and luxury hotels. I have reviewed and recommended the top hotels in each category so that you can choose based on their strengths and weaknesses. Over the years, we have dined in numerous restaurants and eateries in Langkawi. This section is about all our experience in wide range of restaurants, both budget and upscale. I have also categorized the restaurants by price range, location and cuisine, and have recommended the top ones in their respective categories. Langkawi is a duty free island and therefore a shoppers paradise. However all shops do not sell duty free goods. There are designated shopping areas and centers offering duty free items for the tourists and locals. This section will explore all such options including what are the best buys in the island and the best shopping centers. The typical conservative lifestyle of the Malaysians haven't been able to lower the nighttime spirit of this island. Explore all the vibrant bars & pubs in Langkawi by location. Some of them are located right on the beach and play live musical bands. This section covers the maps, weather, how to get to the island, getting around the island (the local transports), Tourist Information Centers, required travel documents like passport, visa etc and many other travel info & tips.